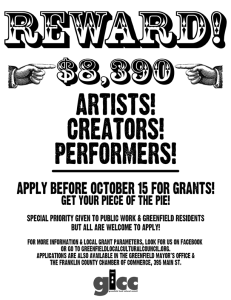 Apply for a GLCC grant now! The 2016/2017 grant cycle is now open! 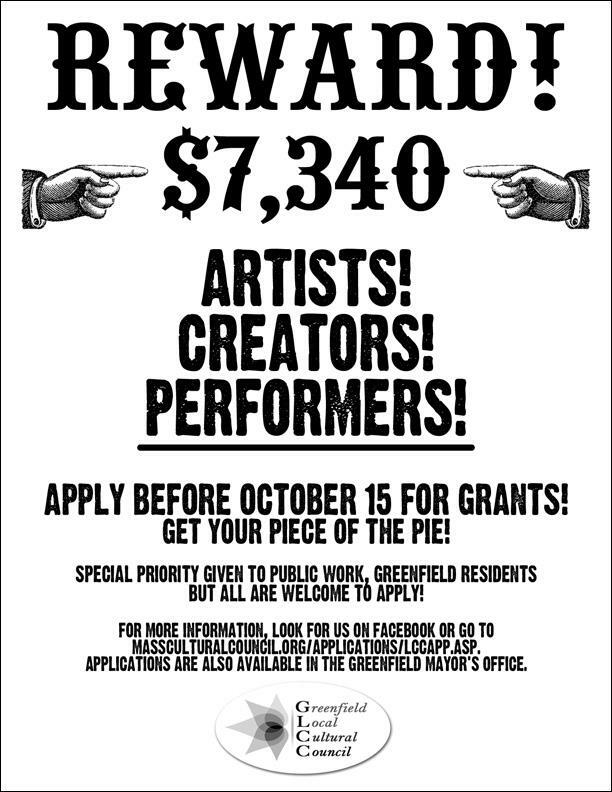 Apply for your piece of the $8,000 the Mass Cultural Council has given us to give to you! Head to our grant page for more info. The deadline is October 17 so get your application in! 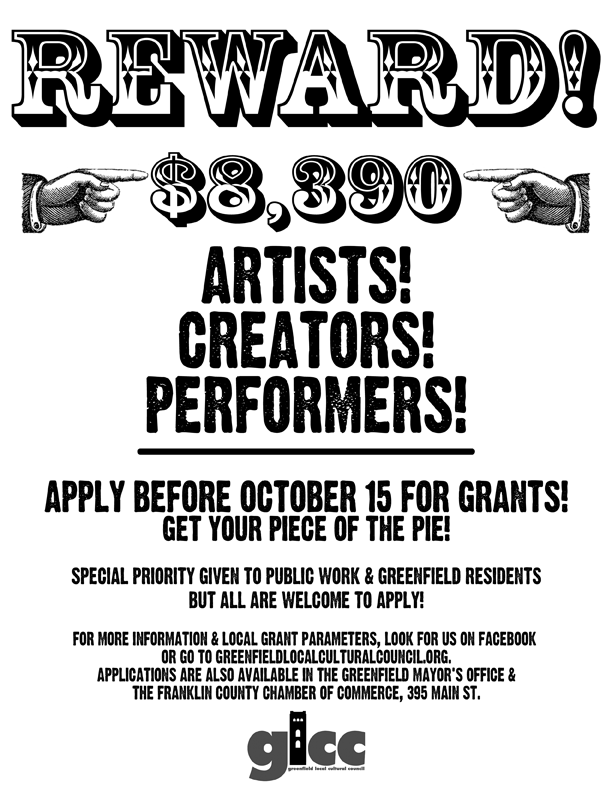 It’s October, so get those grant proposals in! And here’s GLCC Chair Caitlin von Schmidt asking, nay, begging for proposals! Do you want part of $7,340? Great news! The GLCC has been level funded for the 2012-2013 grant cycle and we will be handing out $7,340 in grant money. Apply soon and tell all your friends! Meet the 2012 GLCC grant recipients! Learn about 2012’s GLCC grant recipients. Letters going out this week! GLCC decisions made, letters going out this week. Very tough, but amazing group of people working on it!